53 participants took part in the Business breakfast, coming from business, university and local authorities environment, among them Mr. Victor Grigorescu former Minister of Energy. The business breakfast START2ACT was scheduled in the second session of the big event. 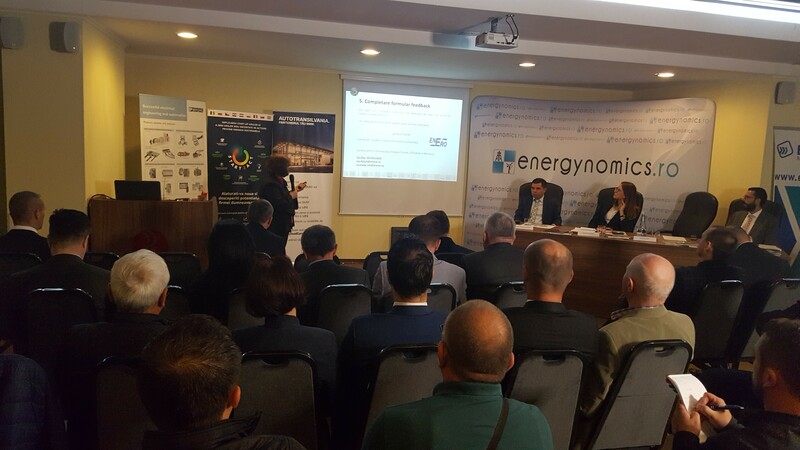 Mrs Nicoleta Ion presented the project objectives and activities, with some o the most importanta examples of energy efficiency intervention and their benefits, tailored to SMEs needs. Mr. Marius Lazar presented some aspects related to financing SMEs projects, including energy efficiency projects. Would you like to receive an additional free training on energy efficiency for your business? Join us to register for one of our young SME training or startup mentoring events in the START2ACT partner countries. Discuss with the community or ASK THE EXPERT for personalised advise. Test yourself! Find the energy saving hotspots in the office. Save energy at your SME by: changing your people’s minds, locking heat controls, running competitions. Thank you, we are glad you find it useful. If you want to sign up to START2ACT information and free activities, click here. . This project has received funding from the European Union’s Horizon 2020 research and innovation programme under grant agreement No 696069. This website reflects only the author’s view and EASME is not responsible for any use that may be made of the information it contains.